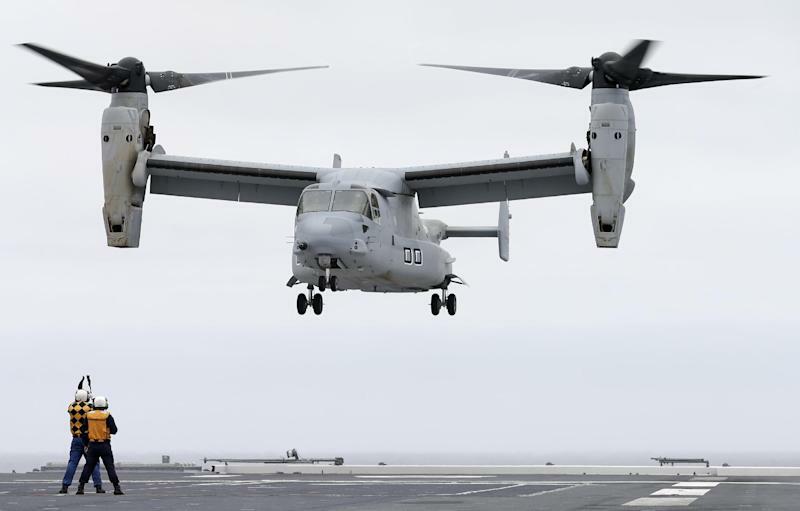 SAN DIEGO (AP) — A U.S. Marine Corps MV-22 Osprey aircraft made an unprecedented landing Friday on a Japanese naval vessel off the California coast. 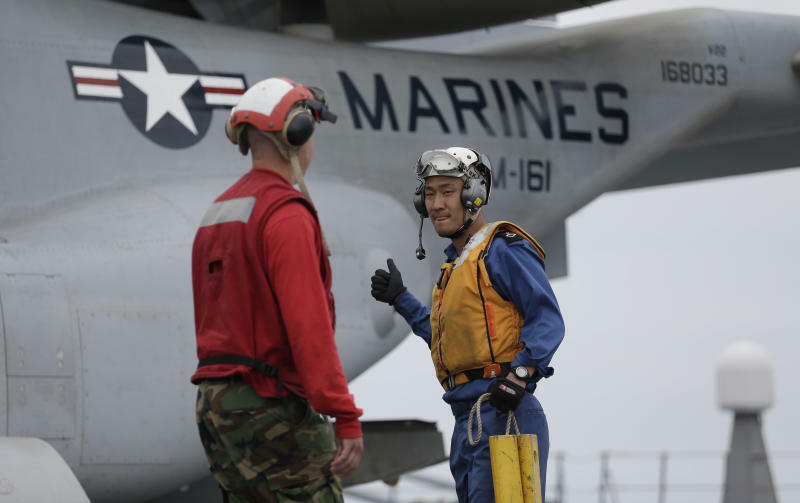 The tilt-rotor aircraft flew from San Diego's Marine Corps Miramar Air Station to the Japanese ship Hyuga as part of an 18-day drill aimed at improving Japan's amphibious capabilities. The Osprey has sparked protests in Japan over concerns about its safety record, which includes two crashes last year in Florida and Morocco. The Japanese government approved the deployment of 12 Ospreys in 2012 to Okinawa after receiving additional assurances from the Pentagon. Military officials say the Osprey is critical for regional security efforts. The hybrid aircraft can take off and land like a helicopter. Marines demonstrated its versatility and speed Friday in an exercise that required coordination between the Navy, Marine Corps and Japan's military members. "The very first landing of an MV-22 Osprey on a Japanese ship is a historic moment," said Marine Brig. Gen. John Broadmeadow, adding that the exercise provided the U.S. military "an opportunity to enhance our longstanding relationship with the Japanese and to highlight the capabilities of the MV-22 Osprey, which allows the Marine Corps to quickly respond to a crisis when launched from sea or land." U.S. military officials say strengthening Japan's amphibious capabilities is vital as the U.S. focuses more attention on developing an Asia-Pacific strategy amid ongoing Defense Department budget cuts. The region has been roiled by tensions due to North Korean long-range rocket and nuclear tests and maritime territorial disputes between China and its neighbors. Japan's navy is among the world's best-equipped and best-trained, but its skills storming beaches and other amphibious capabilities have been weak since its national defense force formed in the 1950s. Military officials say the training also will help Japan to better respond to natural disasters, like the 2011 earthquake and tsunami in which Marines were called in to rescue people from devastated coastal areas. Largely in response to China's growing military might — including the acquisition of its first aircraft carrier last year — Japan has been buying amphibious landing craft and strengthening training for potential conflicts in or around small islands. 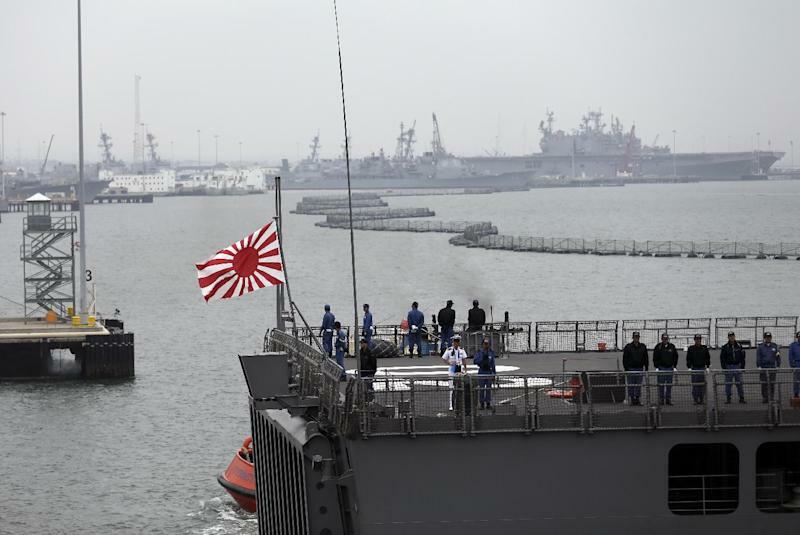 Japan is also repositioning its troops to better monitor and defend its southern borders and sea lanes.